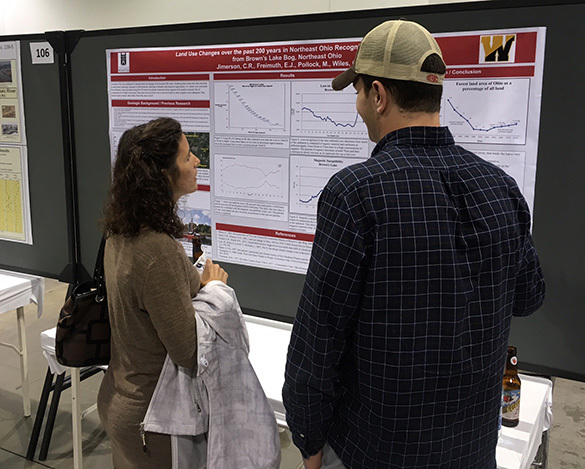 DENVER, COLORADO — Cole Jimerson started us off in the poster session today at the annual meeting of the Geological Society of America. He faced a tough grilling at the start from none other than our own Dr. Pollock. Notice that a beer bottle has now appeared on the table! 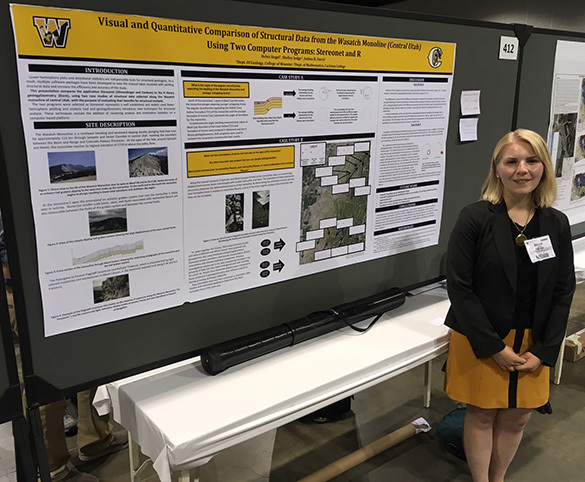 Helen Siegel and her poster on structural geology in Utah (co-authored with Dr. Shelley Judge). This was a rare moment that Helen didn’t have company. 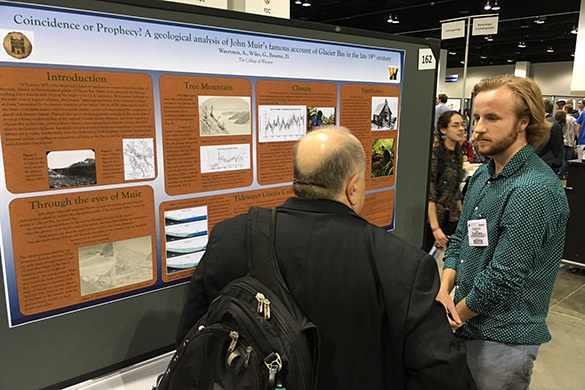 Andrew Wayrynen rounded out Team Wooster this afternoon with his poster on John Muir and Glacier Bay. 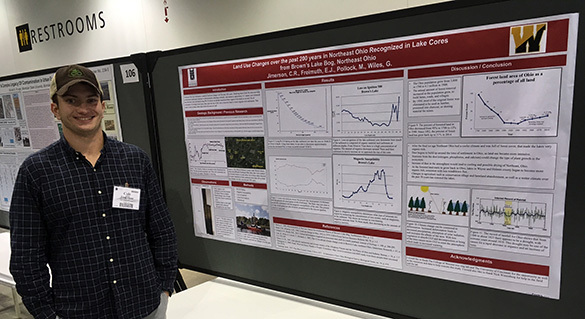 Andrew is a double major in Geology and English. Another beautiful and productive day in Denver, although we are all starting to drag a bit!